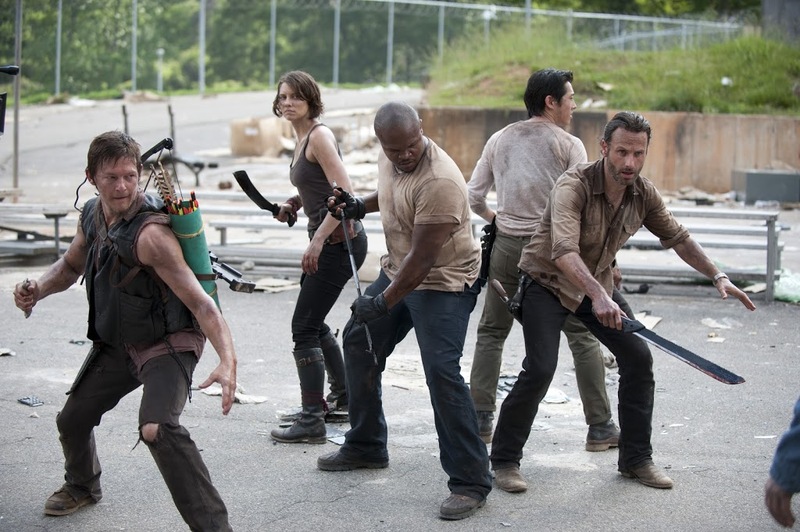 There has been a lot of hype surrounding season three of The Walking Dead. 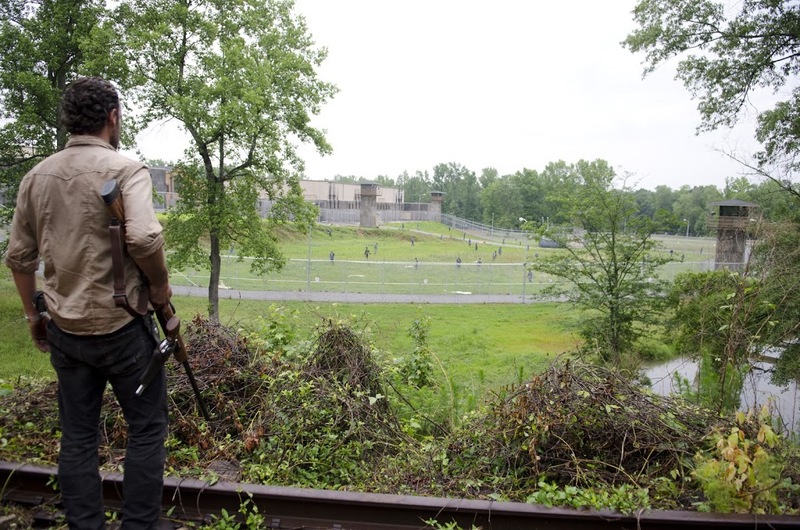 We know we are going to see the prison, the town of Woodbury, and meet new characters like Michonne (Danai Gurira) and The Governor (David Morrissey), as well as the totally not-secret return of Daryl’s brother Merle (Michael Rooker). I’m not going to lie. I have been really anticipating the return of the show. I have even tried not to get too caught up in the hype, just because too much anticipation can sometimes lead to disappointment. I’m happy to say I loved the episode. It had the right amount of drama, tension, and excitement, not to mention some new ways to gross us out. It’s been several months since we’ve last seen The Walking Dead survivors. Lori’s (Sarah Wayne Callies) pregnancy is in its final weeks. Rick (Andrew Lincoln) is gruff and driven only by his desire to protect everyone. Young Carl (Chandler Riggs) hardly seems like a kid anymore. Everyone else looks pretty worn out. Even Daryl (Norman Reedus), who has thrived in survival mode, looks pretty worse for wear. The group has spent the winter moving from place to place, scavenging for food (even resorting to eating dog food), and keeping out the way of the walkers. They are all zombie-killing experts. Their strategy has been honed to the approach of military special forces. Aside from their desire to live, their lives are empty. Rick displays no love for his wife. Daryl resists affection from Carol (Melissa McBride), and everyone exchanges weary glances that suggest they are barely able to go on. So that’s how they spent the winter, but we know things have to change. Lori is going to give birth, and they can’t stay on the run forever. One thing I liked about this episode is that they didn’t throw in everything. It was a great introduction to the season. Things are going to unfold along the way. Now I will admit I thought things unfolded a little too slowly last season, but if this episode is any indication, they are getting things off at just the right pace. In this episode we got the prison and we were briefly introduced to Michonne. They didn’t show a lot of her, just enough to establish that she and Andrea (Laurie Holden) have formed a bond and are on the run together. There was no Woodbury, Governor, or Merle yet. At first I was expecting to maybe get a little glimpse of them, but I liked that we were able to concentrate on Rick and the group getting set up in the prison. Some of my favorite things about the episode were the drastic character changes we see and that they introduced some very macabre ideas. Rick is hardened and hardly seems likeable at this point. His motives are the same, but he seems to have lost something of himself in accomplishing his goal of protecting his family. It makes you wonder if it’s all worth it if he has to lose love and empathy to survive. Carl is becoming like his dad. In this world there is no room for kid stuff anymore, and Carl seems to have learned that for better or worse. One of the more disturbing concepts they introduced was the possible in-utero death of Lori’s baby. If the baby is infected and dies before it is born, what will it do to her? It’s not a fun thought. And then there is Rick’s reaction to Hershel’s (Scott Wilson) injury. Hershel is bit in the leg by a walker and without hesitation Rick chops it off with an ax. It’s so brutal, it’s hard to believe. Season three of The Walking Dead is off to a great start. There’s a lot to look forward to. How will the surviving prisoners interact with the group? How will Woodbury and The Governor be introduced? How will Daryl react to Merle when he sees him? What’s going to become of the very sick Andrea? 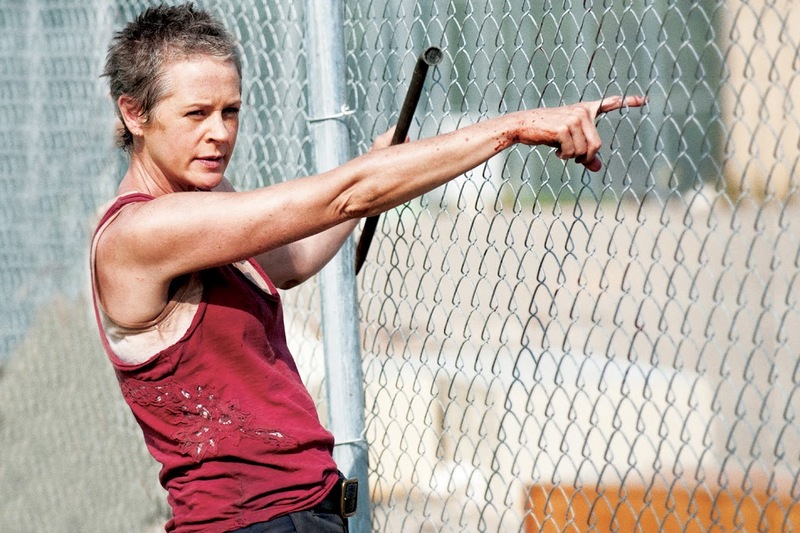 What will become of Lori’s baby? 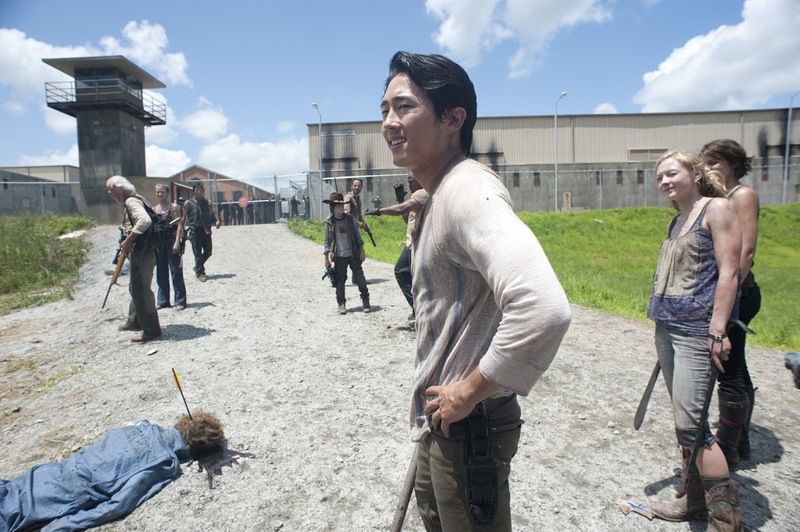 And of course, how will things play out with Hershel? Things don’t look too good for him, and he was the one who was supposed to deliver the baby. Can’t wait for next week!